Character and charm.....with an idyllic lifestyle Secure, Immaculate 2 bedroom duplex with large open plan living and dining. Large renovated interior, with 2 double bedrooms, separate from each other. Internal access from the garage plus an extra car space for visitors. 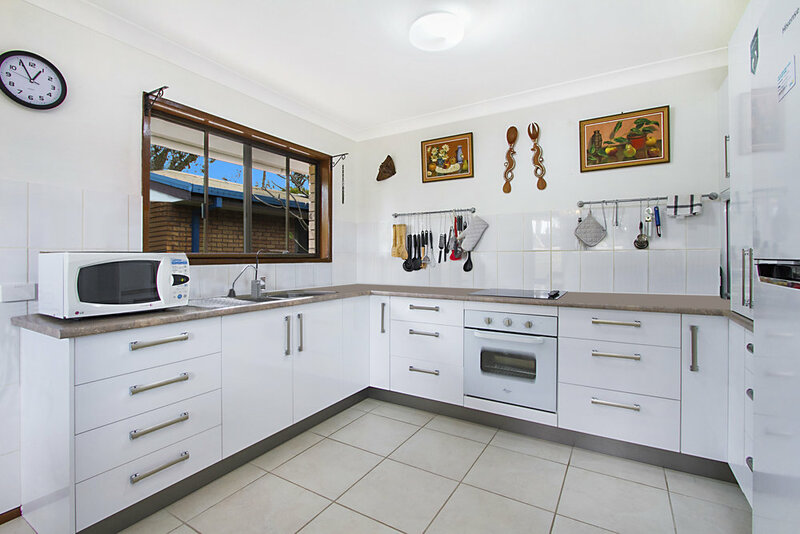 Situated in a leafy suburb within walking distance to local shops, transport and Tweed river. Tweed Heads West is a town located on the Tweed River in north-eastern New South Wales, Australia, in Tweed Shire. The European history of the Tweed Shire began in 1823 when the Tweed River was discovered by John Oxley. After sheltering on Cook Island, (4 km from the River's mouth), Oxely travelled 11 kilometres (6.8 mi) up river. In 1828, Captain H. J. Rous explored 50 kilometres (31 mi) up the river. Settlers began to arrive in 1828, the first of which were the cedar getters, who came to harvest Great Red Cedars and send them back to England. During the height of the cedar logging industry, the Tweed Valley was one of the wealthiest districts in Australia. The Municipality of Murwillumbah was created on 25 May 1902, and held its first meeting on 22 August 1902, at which Peter Street was elected its first Mayor. The Shire of Tweed, with its primary centre of population at Tumbulgum on the Tweed River, came into being in the surrounding area on 7 March 1906 with the enactment of the Local Government Act 1906 (NSW). On 1 January 1947, the two amalgamated to form Tweed Shire.